Textile House: Baby Quilt #2 Done! 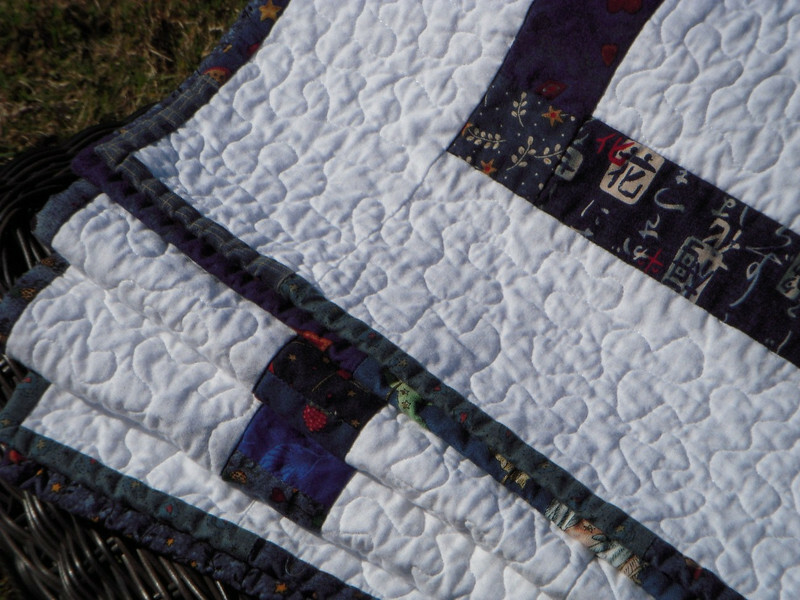 Earlier this month I put the final stitches on Baby Quilt #2 - Little Boy Blue. It turned out better than I could have imagined. I think I mentioned how I was not thrilled with the solid white and the whiteness of it. 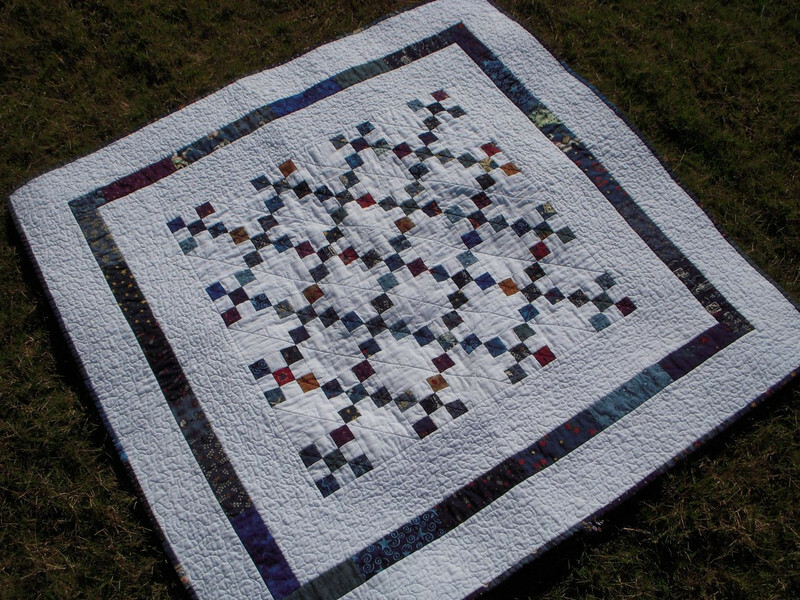 I had high hopes on the effectiveness of the quilting to give it the shadow needed to reduce the blaring white of the piece. I think the binding in blue also helped give it a bit more character. All in all, I am really happy that I stepped out of my comfort zone on this one. I will not be intimidated by solids anymore and will definitely use more of them in the future. 0 comments on "Baby Quilt #2 Done!"